Rev. 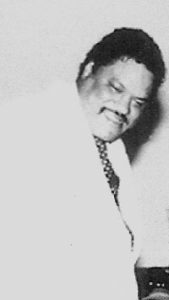 Samuel Milton Collier, the ninth of nine children, of the late Reverend Arthur James Collier, Sr., and Mrs. Bessie Rozier Collier, was born June 16, 1941 in West Palm Beach, Fla. on Contentment Avenue. He was called to rest in the comfort of his home on Saturday, July 14, 2018. He attended Pleasant City Elementary (West Palm Beach, Fl.) Palmview Middle School (West Palm Beach, Fl), and Stuart Training High School (Stuart, Fl.) where he graduated in 1956. He attended Florida A&M University (Tallahassee, Fla.) for one year. After that, he attended American Baptist Theological Seminary (Nashville, Tenn.) and graduated with a degree in Bible Theology (1962). He also earned a degree in American History from Florida Memorial College (Miami, Fla.) in 1970. Rev. Collier continued to pursue other classes at the local university level. During the year of 1959, he met the love of his life, Tonya A. Cartwright, Winchester, Va. native on the campus of Fisk University (Nashville, TN). They married in 1964 and God blessed this union with two children. Rev. Collier was called to the pastorate of Mt. Calvary Baptist Church (Pompano Beach, Fla.), in 1963, where he served for 13 years. He later served as pastor of First Baptist Piney Grove (Fort Lauderdale, Fla.) from 1979-1984. His Pastoral legacy continued at Rainbow Hill Baptist Church (Fort Lauderdale, Fla.) in 1985. In 1987, Rainbow Hill Baptist Church changed its name to Everybody’s Church, where he ended his Pastoral Journey in 1991. Rev. Collier was an avid fisherman. He once owned a boat and spent many weekends fishing with friends and family members. During his healthy years, you could find him on the basketball court or playing ping-pong. Most of all, Rev. Collier loved people and loved to engage people in deep conversations. Rev. Collier was preceded in death by his wife, Tonya A. Collier; his parents, Rev. and Mrs. Arthur Collier; Brothers: Rev. Arthur Collier, Jr, Dr. Leon Collier, and Rozier Collier; Sisters: Evelyn Patrick, Annie Brown, Lillian Edden, and Bessie Harvey. He leaves to cherish his memories a devoted daughter, Candyss (Michael); a devoted son, Andrew (Hallema); one loving sister, Carolyn Collier( Ben); a devoted brother-in-law Albert Edden; loving grand-children: Dames, Destiny M. Dames, Marcia D. Collier and Joseph Cartwright; and a host of nieces, nephews, cousins, family members and friends.